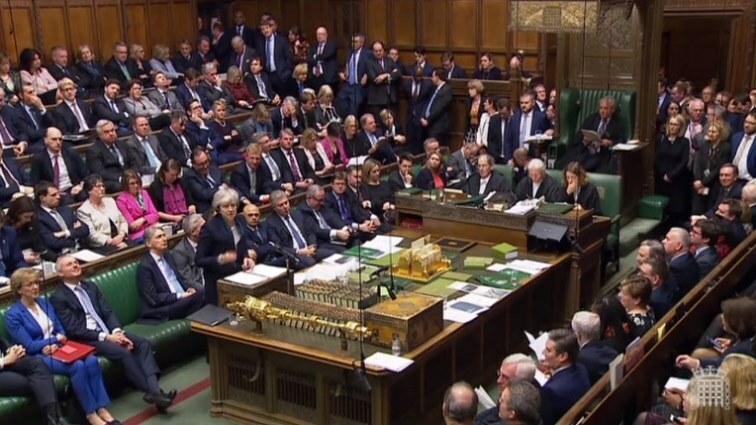 British MPs vote overwhelmingly to reject Brexit deal - SABC News - Breaking news, special reports, world, business, sport coverage of all South African current events. Africa's news leader. Britain's Prime Minister Theresa May (R) as she speaks in the House of Commons in London. 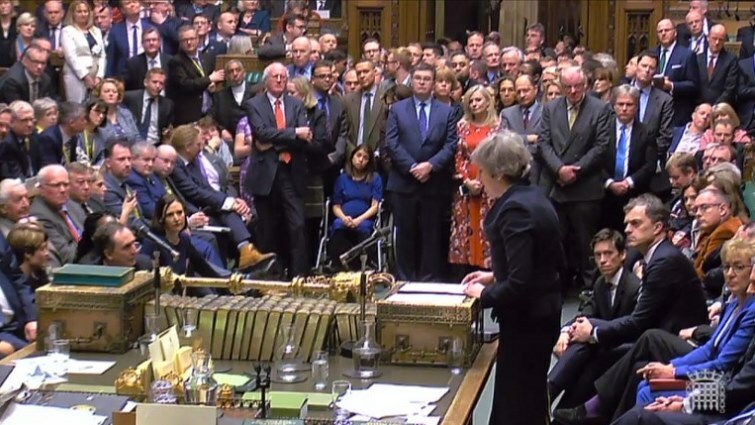 A footage broadcast by the UK Parliament’s Parliamentary Recording Unit (PRU) shows Britain’s Prime Minister Theresa May (C) as she speaks in the House of Commons in London. This entry was posted on 15 Jan 2019,09:56PM at 9:56 PM and is filed under World, News, Homepage Featured Story Slider. You can follow any responses to this entry through the RSS 2.0 feed. Both comments and pings are currently closed.